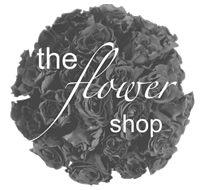 The Flowershop's approach is to be different to other florists in our appearance and presentation of our bouquets and shop image. We have recently introduced a walled gallery of our wedding work. The studio image captures our attention to detail and high standard of the finish of the final product.